Events West Tours & Travel is ready to assist you with all of your San Francisco tour, San Francisco transportation, San Francisco cruises and San Francisco event needs. We offer individual and group tours, and specialize in customized tours of San Francisco and the Greater Bay Area, including the most spectacular bay cruises in San Francisco. 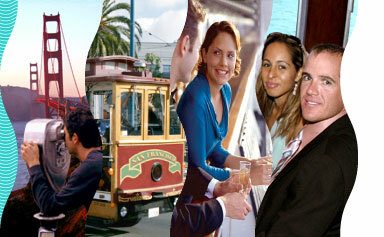 Imagine a relaxing dinner cruise on San Francisco Bay, or a group ride through downtown San Francisco. We provide logistical support, destination management and event management services that deliver a memorable and relaxing San Francisco experience. Be sure to ask us about our incredible dinner cruise on San Francisco Bay, and learn why businesses trust Events West with their crucial event and transportation management!